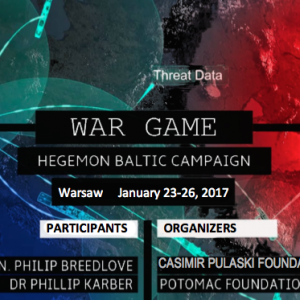 The wargaming initiative focused on the scenario of a Russia-NATO conflict and analysed the nature of the Russian military threat to the Baltic States and Poland. As a result Belarus was found to be a key contributor to regional security and stability by containing Russia's aggressive strategy. The author of this piece also took part in the simulation. 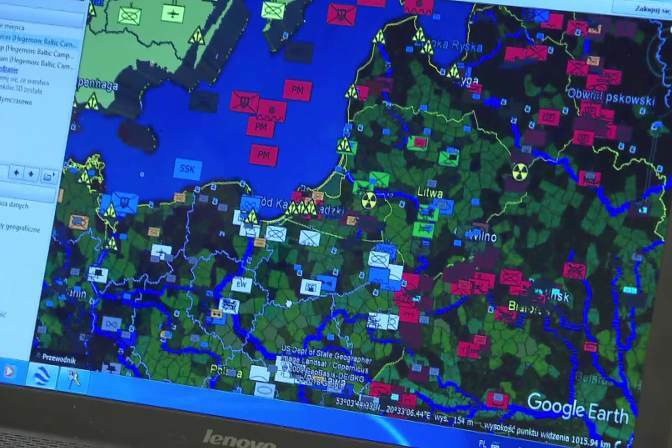 The wargame simulated a military conflict between Russia and NATO caused by a Russian attack on the Baltics. It used the ‘Hegemon’ computer-based programme which was originally created by the United States during the Cold War. 'Hegemon’ operates using open-source and de-classified data for tactical, operational, theatre and strategic level analysis. 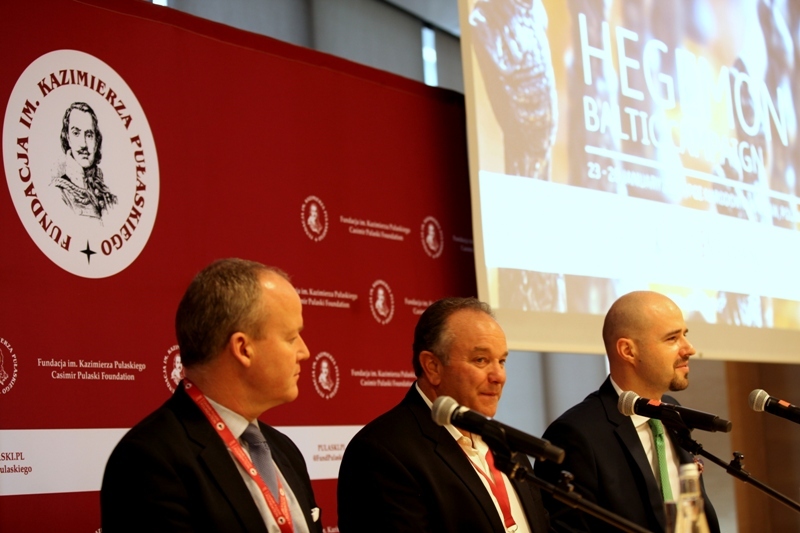 The Potomac Foundation already conducted several wargaming simulations using the 'Hegemon' platform last year: at the Baltic Defence College; in Washington with a group of defence attachés; at the Allied Rapid Reaction Corps (ARRC) headquarters in the United Kingdom; and with the Latvian joint staff. The recent Baltic wargaming simulation in Warsaw brought together defence experts and government representatives from Poland, the United States, Baltic and Nordic countries and NATO. Retired four-star United States Air Force general Philip Breedlove took part in this wargaming simulation. He had served as Commander, U.S. European Command, as well as 17th Supreme Allied Commander Europe (SACEUR) of NATO Allied Command Operations. NATO Allied Rapid Reaction Corps Brigade General Paul Tennant also participated in the event. 'Hegemon' also took into consideration open-source intelligence data which outlined deep concerns among western military analysts over a possible conflict with Russia. This data directly refers to Belarus. Military analysts from the Potomac Foundation believe that the ongoing reestablishment of the 1st Guards Tank Army of the Russian Armed Forces has far-reaching strategic intent. This raises a number of security concerns. During the Cold War the 1st Guards Tank Army was stationed in East Germany as part of the Group of Soviet Forces in Germany. It served as the mobile, hard-hitting spearhead and vanguard of a Warsaw Pact drive into Western Europe. Today the army is located in Russia's Western Military District, close to Belarus, where it would likely be called into action in the event of a conflict in the Baltic states. The 1st Guards Tank Army consists of around 3 Divisions and 3 manoeuvre Brigades – a very powerful and offensive strike force. Its assets will soon number approximately 700 Tanks, 1,300 other armoured vehicles, 500 tubes of artillery and multiple rocket launchers, covered by a dense, mobile-radar air defence umbrella. The 1st Guards Tank army is equipped with the latest Russian armament, and has been declared an early recipient of the new Armata T-14 Main Battle Tank. Russia has already announced that the 1st Guards Tank army will be ready by this spring. The Kremlin is planning to test it in the upcoming West/Zapad – 2017 exercise. This will take place in Russia’s Western military district as well as in Belarus in September 2017. Military analysts from the Potomac foundation also announced that Russia has ordered over 4,000 rail flat cars for the deployment of heavy equipment into Belarus. According to their estimations this is sufficient to transport all the heavy vehicles of the 1st Guards Tank Army and a substantial amount of ammunition. This means the West/Zapad – 2017 military drill may serve to bring together the most powerful concentration of offensive weaponry in Eastern Europe since the end of the Cold War, allowing the Kremlin to present military threats to NATO. In the Baltic wargaming simulation scenario, the conflict between Russia and NATO begins with Belarus, with Belarusian leader Alexander Lukashenko refusing to establish a large-scale permanent military presence of Russian troops on the territory of Belarus. Therefore the Kremlin decides to launch a coup,overthrowing Alexander Lukashenko and replacing him with a fully controlled and loyal secret service general. The new leader of Belarus then officially invites Russian troops into Belarus. After this the Kremlin begins to generate hybrid threats to the Baltic countries and Poland. NATO then decides to activate Article 5 and sends High Readiness Forces to protect these states. The Kremlin interprets this step as a declaration of war and responds with a large-scale offensive operation against the Baltic states and Poland. According to this scenario Russia even deploys a tactical nuclear weapon on the territory of Belarus. 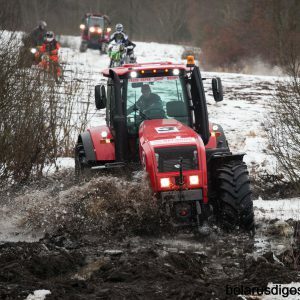 The Baltic wargaming simulation took place in an ‘off the record’ format. This means the organisers and participants will not share all the details and their conclusions publicly. They will deliver a post-event report to Polish and US officials. Nevertheless, the wargame demonstrates a significant shift in Western strategic perception of Belarus. The West has until now viewed Belarus and its leadership as a fully controlled satellite and political-military appendix of Russia. Today western strategists are reviewing their attitude towards these myths and stereotypes about Belarus, with Alexander Lukashenko demonstrating a strong commitment to defend the sovereignty and independence of his country through political and military means. Recently Alexander Lukashenko has reaffirmed his position on the Russian air base in his press conference of over seven hours that brimmed with anti-Kremlin sentiment. According to his statement, Belarus does not need Russian military bases on its territory. Obviously such a position contradicts the Kremlin's strategic intentions to transform Belarus into its military outpost. This may lead Moscow to activate the crisis scenario posited in the wargaming simulation. That is why Dr. Phillip Petersen, Vice President for Studies at the Potomac Foundation, suggests that the West now consider how to support independence and sovereignty of Belarus. He proposes disconnecting Russia from the SWIFT (Society for Worldwide Interbank Financial Telecommunications) if the Kremlin intervenes in Belarus and undermines its independence. To rejoin the SWIFT, Moscow would need to withdraw its troops from the territory of Belarus and restore its sovereignty. Only a strong, sovereign and independent Belarus can contribute to regional stability and security and prevent a heated military confrontation between Russia and NATO.